Vol. 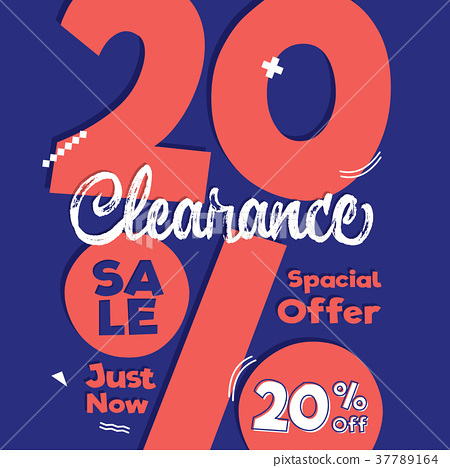 4 Clearance Sale blue pink 20 percent heading design for banner or poster. Sale and Discounts Concept. Vector illustration.